If you are new to couponing there are a few things that you should know to make the process easier. Here in Colorado, Albertsons sales and Safeway sales/club prices are the same, so any deals shown on this site apply to both stores. 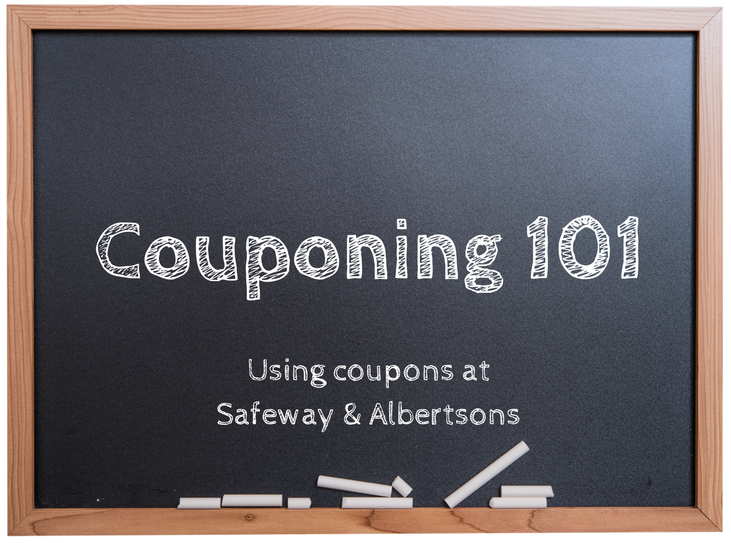 While you do not need to be an extreme couponer to save, you do need to be a strategic shopper to maximize your savings at Safeway and Albertsons. You can save an extra 30 – 50% on groceries when you pair weekly sales with coupons and stock up on items when they are at their all time low price in a sales cycle. SuperSafeway does the majority of the work for you by highlighting the best deals at Safeway/Albertsons with sales and coupons in our weekly Safeway coupon matchups. In order to maximize your savings, you should take advantage of the most coupons available to you, which means subscribing to your local Sunday newspaper, or picking up the Sunday paper at a discount retailer for $1.00. 90% of all coupons available are found in the Sunday newspaper inserts. For even greater savings and pantry stocking opportunities, it’s best to get 2-3 Sunday papers. When items are free or 70% off or more, it’s great to use as many coupons as you have to get multiple discounted items instead of just one. There are three main coupon inserts including SmartSource, RedPlum, and Procter & Gamble (P&G). Each week we there are inserts, we publish a Sunday coupon preview. Make sure to look for this post mid-week, typically Wednesday or Thursday. 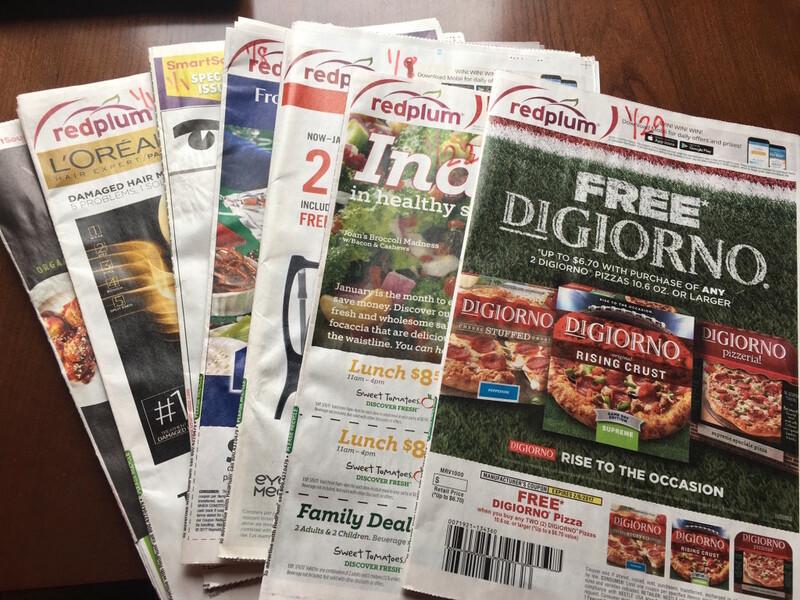 Rather than clip all the coupons you might use from the Sunday paper, we recommend writing the date on the front cover of the insert and then storing the insert until the product goes on sale. Utilizing coupons on sale items is the best way to maximize your grocery savings. See additional details about storing coupons below. Online Coupons are manufacturer coupons available on the internet for you to print on your home computer. Generally, online coupons are limited to one or two prints per printer and typically have rolling expiration dates, meaning they expire two weeks after the date printed. Most internet coupon sites have a limit for these coupons; once the maximum number of coupons has been printed, the coupon will be deleted from the site. Since some coupons are more popular than others, they don’t last long. A good rule of thumb, print the new online coupons as soon as you see them. Online coupons require a coupon printer application to be installed so that the coupons print correctly. The coupon printer application only needs to be installed once and allows you to print the coupons from home. Online coupons cannot be photocopied, in fact copying coupons is illegal and fraudulent, so don’t do it! Each internet coupon is printed with a unique barcode that identifies it. The major online coupon distributors are Coupons.com, RedPlum, Hopster, and SmartSource. Manufacturers also distribute coupons from their websites such as Kellogg’s Family Rewards, P&G Everyday, Kimberly Clark , Hormel, and General Mills. General Mills actually has several sites that distribute coupons including Tablespoon, Pillsbury, Betty Crocker, and Que Rica Vida, which is in Spanish. The General Mills coupons only allow 1 print of each coupon across the family of sites. The SuperSafeway Coupon Database has the complete listing of every printable and newspaper coupon available. If you’re looking for a particular coupon, be sure to check the SuperSafeway coupon database so you get the maximum savings for your favorite brands. Digital Coupons are coupons that are linked with your grocery store loyalty card, like Safeway’s Just for U. These coupons do not double in value and they also cannot be stacked with manufacturer coupons. Occasionally the Just for U app will have store coupons that can be stacked with manufacturer coupons, and those are denoted in Just for U by “Store Coupon”. Safeway Just for U also offers “personalized deals” that are based on your shopping and purchase history. These offers must be added to your account for you to receive the personalized prices. Just for U was made available for Albertsons customers in July 2016. Digital coupons are updated constantly, so make sure to check the app regularly. Cash-back coupon rebate apps provide you with an alternative way to save money on products you already purchase. Most of the apps deposit money into either your paypal or bank account. 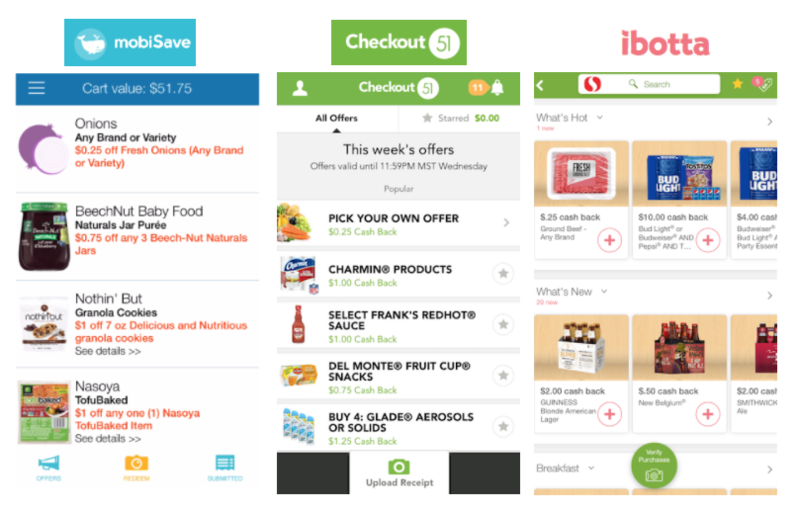 Some rebate apps, such as ibotta, Mobisave and Checkout 51 will stack with other manufacturer’s coupons and offers. Others apps, such as SavingStar, do not allow any combining of coupons or rebate apps. It’s always best to read each rebate you redeem for further details. Read more cash-back rebate apps in our best coupon apps to use at Safeway post. Every couponer has a preferred method of storing their coupons. You can try various coupon storage systems and determine what works best for you. The SuperSafeway team recommends collecting the Sunday coupon inserts, writing the Sunday date on the front of the insert and then filing all coupon inserts by date in a filing system (cabinet or portable filing box). Each week you will clip the the coupons you need when they are displayed in the Safeway sale and coupon matchup list. Some couponers prefer to use binders, complete with file inserts and a means to organize (i.e. clear folder sheets, baseball sleeves). We’ve found this to be an extremely time consuming way to coupon and is not our preferred method. Additionally, some couponers prefer to cut their coupons and file them in a labeled box or accordion folder. Which method works best will depend on how many coupons you’ll use. We recommend writing the date on the front of your inserts, should you choose to leave them whole. You can sort them by either month or week, whatever is most convenient for you. We both sort our coupons by week, as it’s easiest in our opinion. Safeway doubles manufacturer paper/printed coupons up to $1.00 at all Denver Division stores which includes stores in CO, WY, NM, SD and NE. This means a $.50 coupon is worth $1.00, a $.40 coupon is worth $.80 etc. Click here for Safeway’s coupon policy. Use the Safeway sale and coupon matchup as your guide. We highlight all the sale and coupon deals by aisle based on current coupon inventory. We highlight the best deals in bold font so you know which deals you shouldn’t miss each week. Create your shopping list, clip and print your coupons, shop and save. The best time to shop with coupons is early in the morning or late at night. Avoid the store rush hours of 3:30 – 7:00 pm. If an advertised sale item is out of stock, you can always get a rain check for the item. Simply let the cashier know which item is out of stock and the sale price for the item and they will write out a rain check that you can then utilize when the item is back in stock. You will get the sale price listed on the rain check and you can also utilize coupons with the rain check. Safeway and Albertsons allow you to use one coupon with a buy one get one free sale as long as the coupon is for one single item. You may not apply a coupon discount on the free item. If the coupon is a $1/2, then you would need to purchase 4 items to utilize the $1/2 coupon. Gorton’s Fish Sticks are on sale for BOGO free. You have a $1/2 Gortons Frozen Fish Coupon, it may not be used on the free item, so you need to purchase 4 Gorton’s Fish Sticks, 2 will be free and you will get $1 off the 2 that you paid for with the $1/2 coupon. As a courtesy, it’s nice to tell the people in line behind you when you’re completing larger couponing hauls. Be sure to have all your coupons clipped and ready to hand over to the cashier at the end of your transaction. Also be aware of coupon limits on each coupon. Most P&G and Unilever coupons have limits of 4 like coupons that can be used in one transaction. 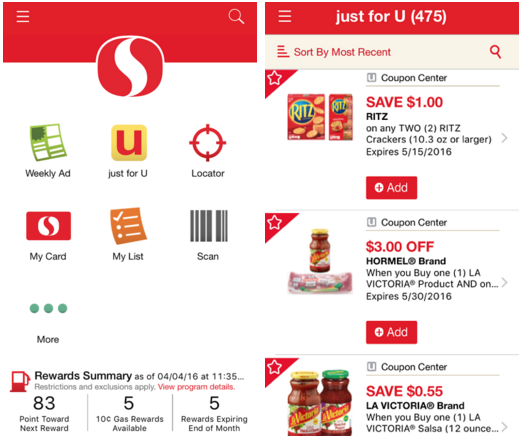 If you are using Safeway Just for U digital coupons, be sure to have them loaded before you enter your phone number or scan your loyalty card at checkout. This ensures that the offers come off during your transaction.